Manufacturers & Exporters of Steel Forgings - Ghaziabad Forgings Pvt. 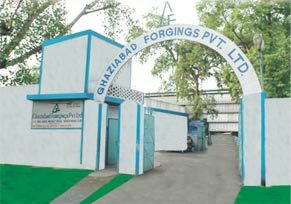 Ltd.
Ghaziabad Forgings was founded in 1978 with an aim to achieve new avenues of business in FORGING INDUSTRY operating over the domestic and global market. The company was incorporated as private limited firm in 1986. Today the company has achieved excellence in Quality Steel Forgings with the help of its industry expert management & a dedicated team of highly competent, qualified & skilled professionals having more than 30 year’s experience in their relevant field. The company is renowned for its aggressive creativity & youthfulness in forging industry. GHAZIABAD FORGINGS PVT. LTD., C-6, Industrial Area, Meerut Road, Ghaziabad – 201003.